Vote! Who Looks Best With Kate Gosselin's Hair? Katie Couric wore a Kate Gosselin wig on Halloween, and Taylor Swift slapped one on to poke fun at the mother of eight on "Saturday Night Live," but which woman wore it best? 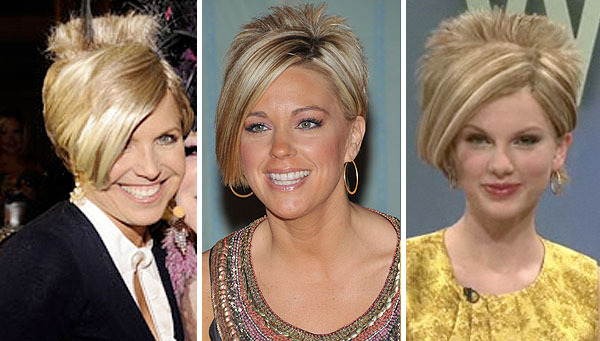 Tell "Extra" -- Who wears Kate Gosselin's funky hairdo the best?